The University’s President Visits College of Engineering. 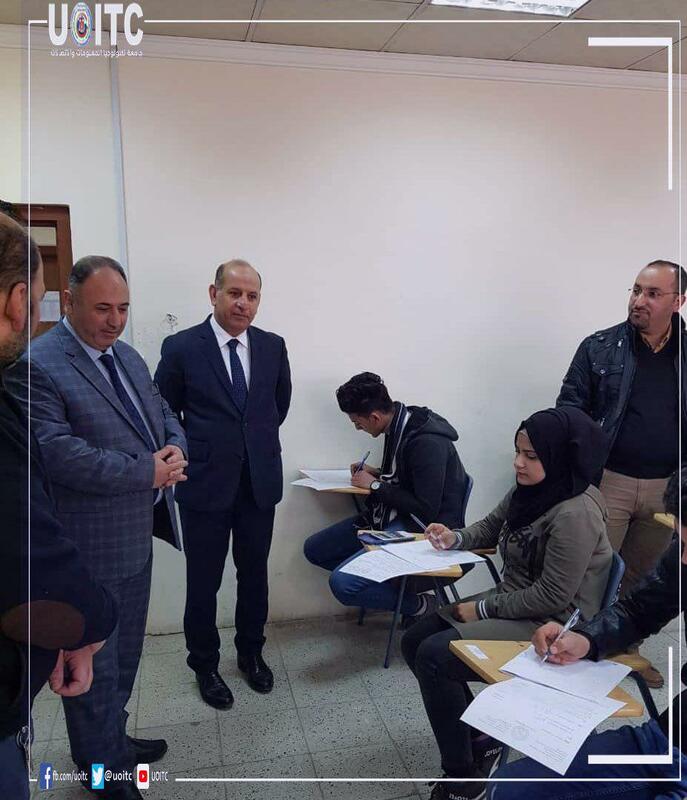 The president of University of Information Technology and Communication Prof. Dr. Abbas Muhsin Al-Bakri has visited the main exams’ halls in college of engineering. The president, alongside his tour to the college’s study halls and labs through which was accompanied by the college’s dean’s assistant and heads of departments; has emphasized on the necessity of providing all suitable atmosphere for students and all main needs for taking the final examinations process to success state. 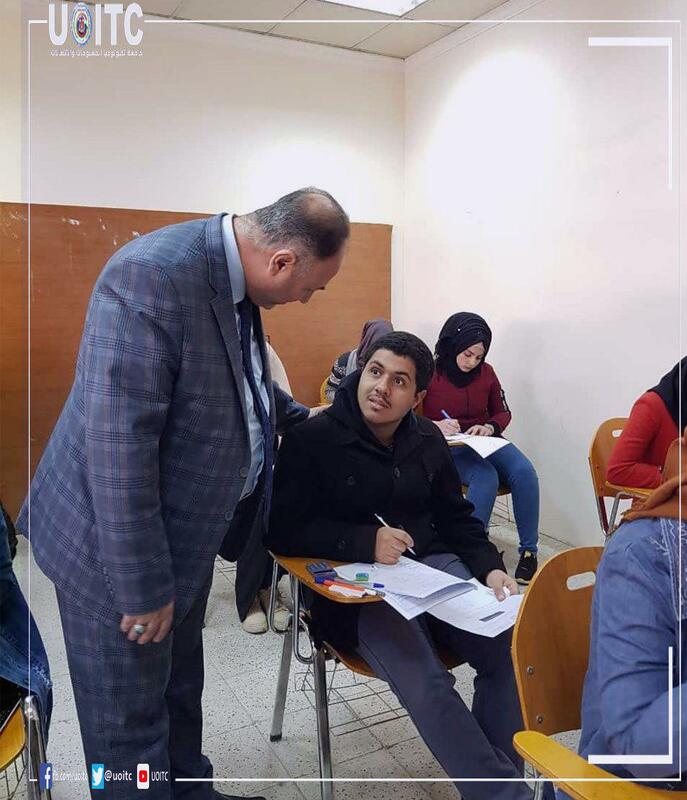 Al- Bakri has also encouraged students to keep perseverance and reach excellence in their study years and succeed their final exams, which is considered a cutting edge stage for reaching next studying grade. 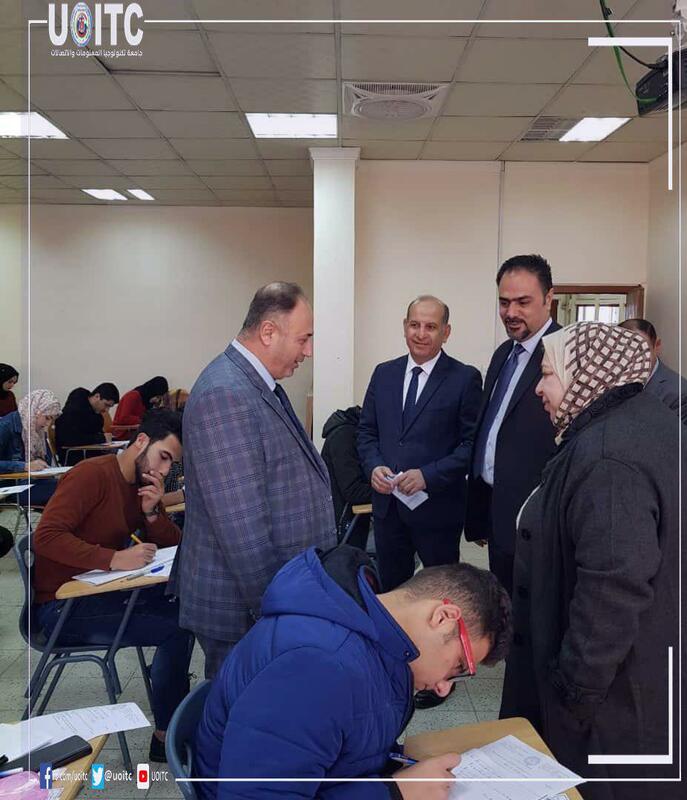 The University’s president has also pointed to many important things such as presenting at the exact time of exams and for the faculty to make clear and specific questions. And mentioned that the university’s direction is to progress in the Information technology and communications engineering fields, which are continuously evolving sciences, for which all the curricula should keep up, and the latter exams must develop students’ scientific and practical abilities.